Welcome to British Corner Shop – the leading ecommerce retailer shipping over 10,000 branded British products (including 2,000 premium Waitrose groceries) to British expats and food lovers all over the world! We make it possible for anyone, anywhere with a taste for the Best of British groceries to satisfy their appetite, so whether you miss tea and biscuits or pies and pork scratchings, we aim to deliver British happiness straight to your door. 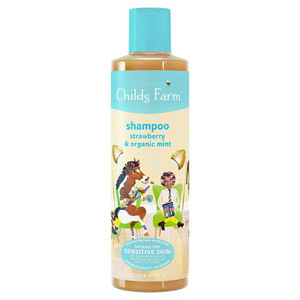 Childs Farm use many naturally derived ingredients to produce a range of mild, kind and delicious-smelling toiletries that cares for the hair and skin of new-borns, babies and children. They are one of the very few baby and child ranges to undergo clinical tests and controlled user trials, which certify that their products are dermatologically tested and approved as suitable for new-borns and upwards. Unlike other products for sensitive skin, Childs Farm toiletries are beautifully designed, and thanks to the array of scented and essential oils, smell fantastic, ensuring every child will want to use them!